Evergreen, who nearly missed out on play-offs were looking to prove their title credentials against the top ranked Mountaineer Mondaze. 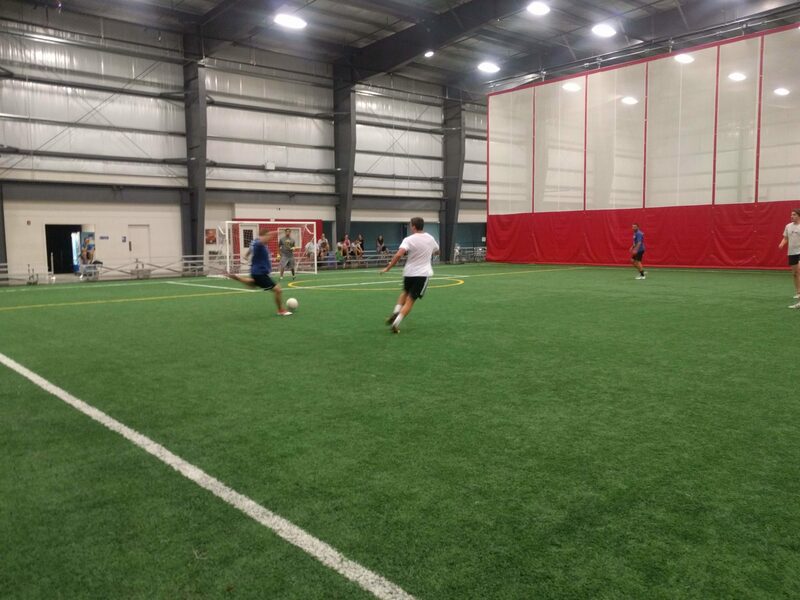 They started the match very well as Gabe Hutchinson and Nick Thornton both forced early saves from Louie Comfort. Thornton then opened the scoring in the fifth minute as he collected an uncharacteristic loose pass from the Mountaineers’ Paul Brungard. Thornton confidently advanced into space before firing a low left-footed drive into the bottom right corner. Evergreen continued to apply the pressure winning a series of corners as the Mountaineers initially struggled to make an impact on the match but scored in the 10th minute with a stunning strike from Christa Matlack. Following a free kick down the right, Markus Rybak hit a powerful effort, which Pat Coyle could only tip onto the crossbar. To Evergreen’s dismay, the rebound fell to Christa Matlack who hit an incredibly timed half-volley into the bottom corner. 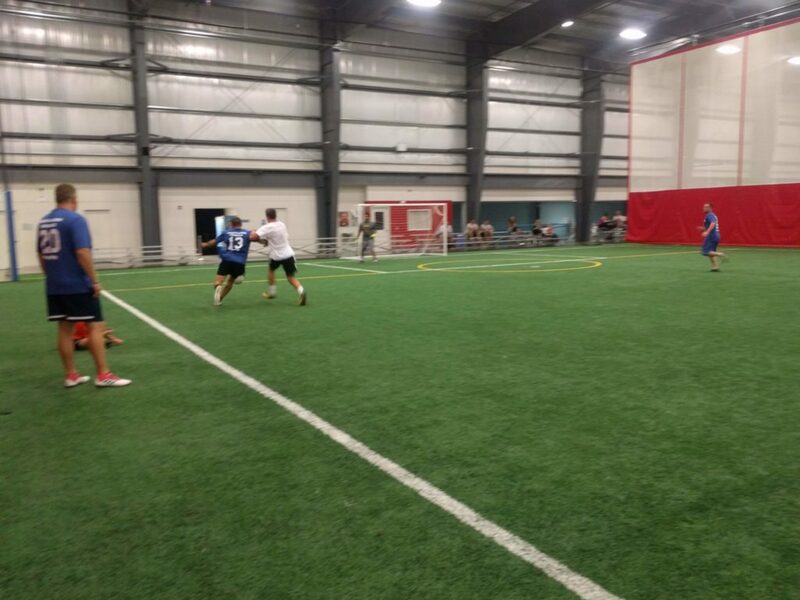 Less than three minutes later, Matlack provided an assist to Matt Hibbs. Hibbs did extremely well to control her lobbed flick with his chest, before executing a deft volley with the outside of his foot from close range, which nestled into the net after hitting the inside of the post. Based on the initial ball into the box, the opportunity looked like a half chance at best- making the finish all the more impressive. Markus Rybak drives a long pass forward for the Mountaineers. With their confidence boosted by the goal, the Mountaineers began the second half very well, with Ashley Sitler and Mark Anderson both testing Coyle with early chances. The next few minutes were tense with neither team able to create good chances until the match’s decisive moment in the 24th minute. As the ball was rolling harmlessly wide of the Evergreen goal, Pat Coyle scrambled off his line to play the ball with his feet and regrettably surrendered a cheap corner. Mark Anderson took the ensuing corner and opted to float a cross to the far post to a completely unmarked, Paul Brungard who had quickly ran deep from midfield to attack the space in front of the goal. Brungard finished with an excellent side-footed volley, but questions must be raised of Evergreen’s defending to allow him to run so freely with no one tracking the run. Evergreen came to life in the remaining minutes with Andy Harris forcing a good save from Louie Comfort. Moments later, Louie produced a superb reaction save to deny Nick Thornton’s close range flick. Chip Edmunds was eventually able to pull one back for Evergreen- after collecting a pass from Joe Friel, Edmunds managed to squeeze in a low finish in the 26th minute. Unfortunately for Evergreen, it was a little too late and the clocked ticked down without them able to seriously threaten the Mondaze goal again. In an evenly contested game, with both sides creating about the same number of good chances, the Mountaineers simply took advantage of their chances with superior finishing and Evergreen will certainly regret the momentary lapses in defending leading to the winning goal. The Mountaineers eventually won a deserved title, having improved dramatically after a turbulent start to the season. 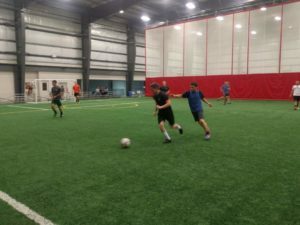 Early in the season, poor performances and intrasquad turmoil seemed to foretell a campaign that would end in bitter disappointment and broken friendships. 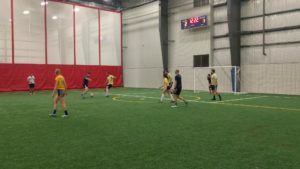 To their credit, Mountaineer Mondaze were able to come together as a team and consistently improve as they marched on towards a title, delighting the arena with some excellent soccer. LA United beat City Strikers with a second half surge.